4 v 4 Possession game. Maintain possession through the grids , when in possession the team must have 3 players in 3 grids that are connected to produce triangles . 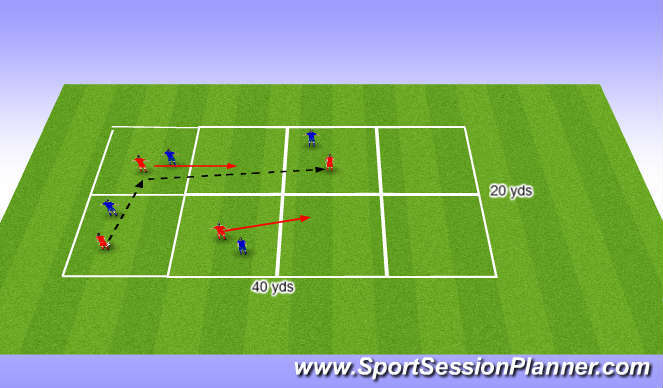 This will encourage players to follow there pass plus promote movement off the ball as well. A 4th player must not be in a connecting grid with the first 3 players this will allow the team in possession to play a pass that will break the line of the other team.